It has been a while since I have posted. I have been busy and “life” has been happening. I hope that everyone had wonderful Winter Holidays and a very belated Happy New Year to all!! I finally had some time to work on a customer quilt and I want to share my experience with you. It has been a while since I have been surprised by wonky / bad borders on a quilt, but this one was totally unexpected! 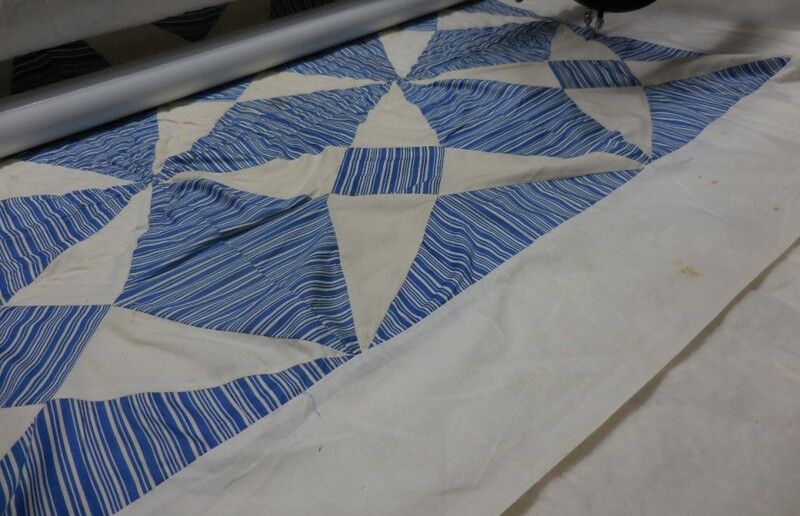 Some details – The piecing pattern is Elegant Grace and this is a LARGE quilt 109 x 109 inches. My customer is out of state and sent the quilt to me way back in September. 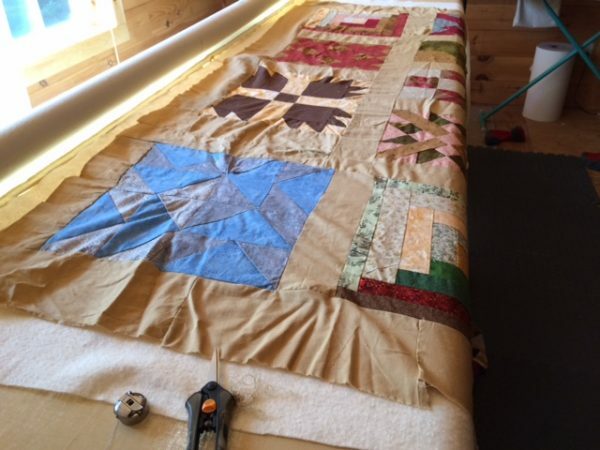 I knew it was going to be a large quilt and I knew it was going to be a big job and that is why I waited until I had a good chunk of time to work on it. And I am glad that I did! 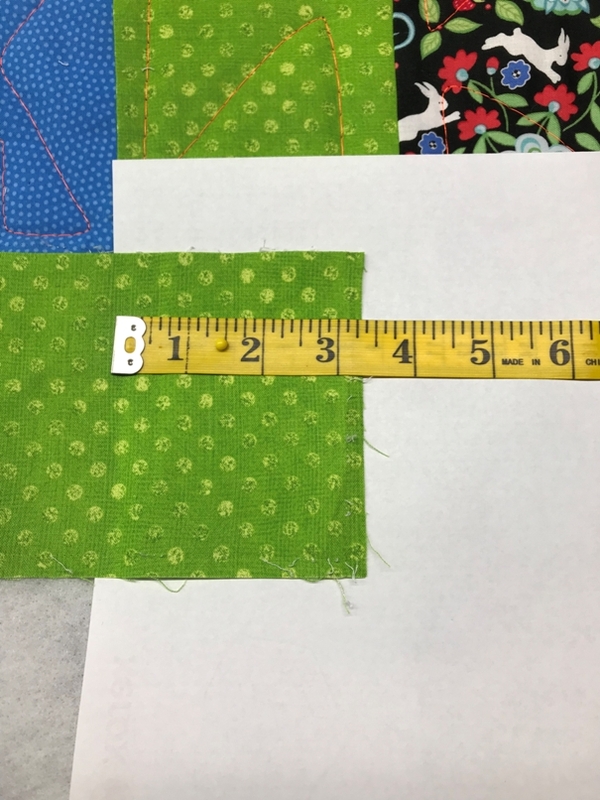 I did my usual measuring of the quilt before putting it on the machine and it measured “square” and put it on my quilting machine in my usual way. 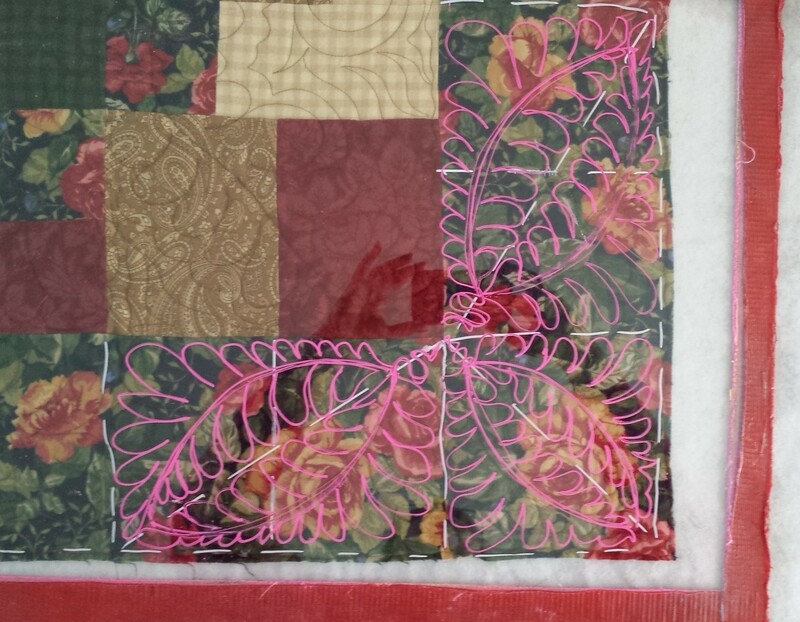 I was not sure what I was going to quilt in the borders so I machine basted the top borders. 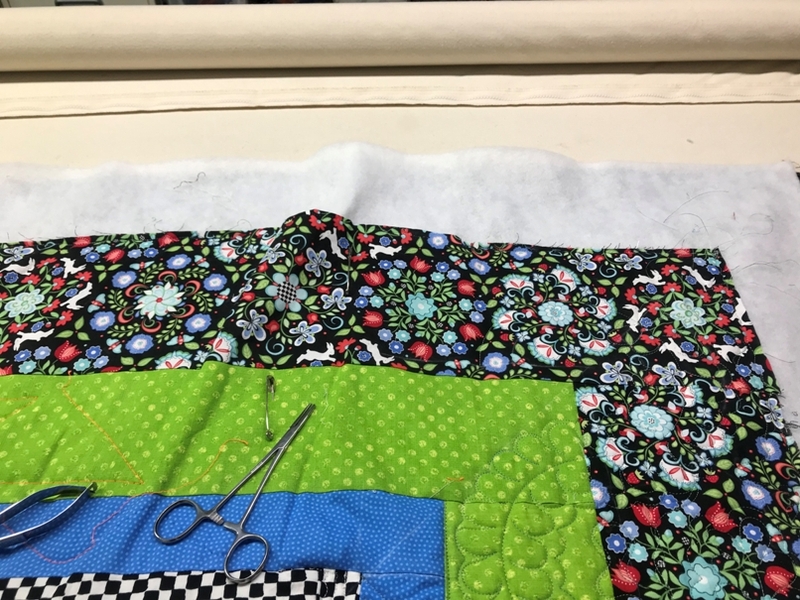 (I machine baste by changing my thread to a neon high sheen poly thread, turning off the stitch length regulator, then quilting longer stitches – about 3 stitches per inch – in a somewhat stippling pattern.) There was a little fullness in the top border, but nothing too drastic, so I thought! The side borders were having problems and there were several large-ish pleats showing up and lots of smaller pleats. I worked my way down to the bottom border, which had a little bit of fullness, but like the top border, it wasn’t too drastic, so I thought at the time. 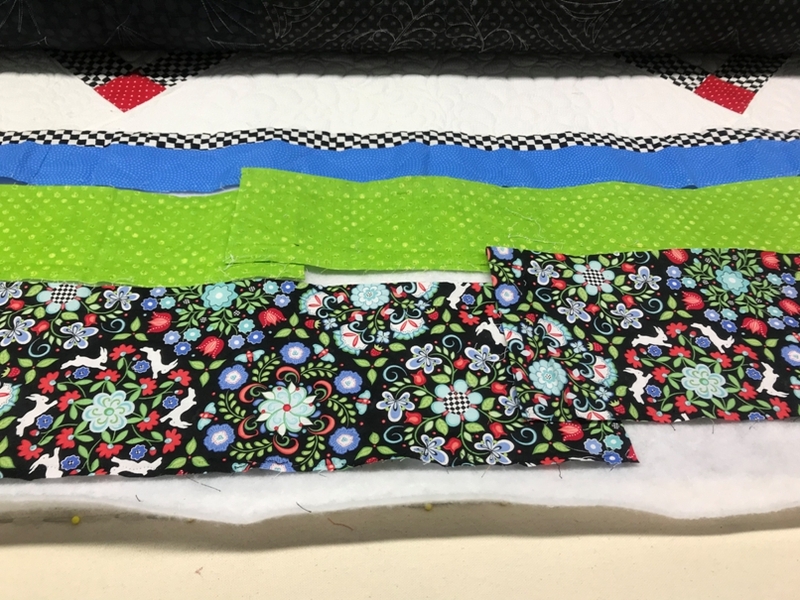 After much thought – and a couple of cups of coffee – I decided to deal with the side borders before I did any more quilting. 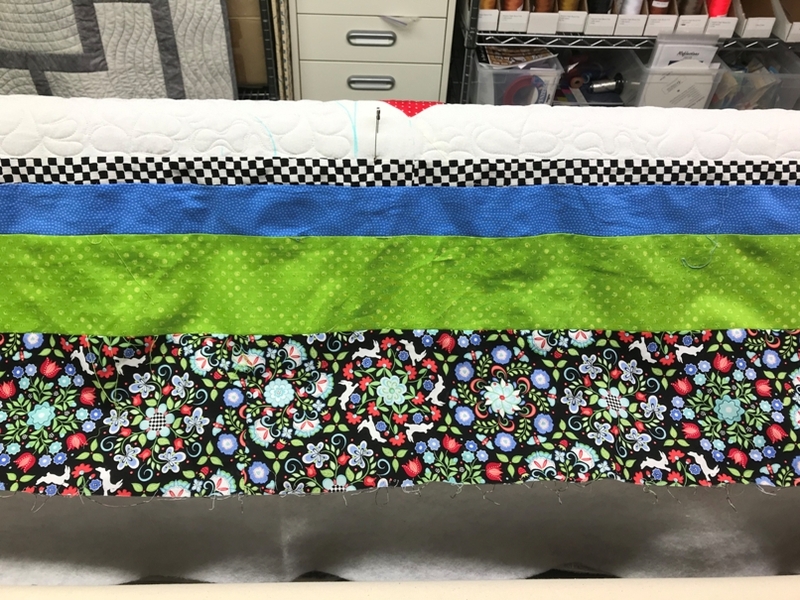 So I machine basted the bottom border, took the quilt off the machine, gave it a quarter turn and this is what it looked like. A long view. Can you see the pleat in the middle? 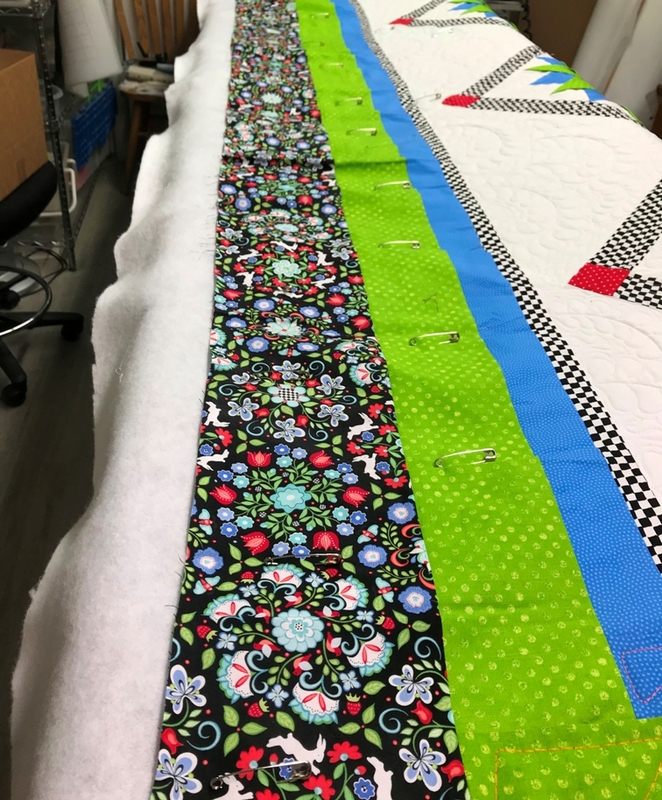 A closer look at the middle of the border and the several pleats. 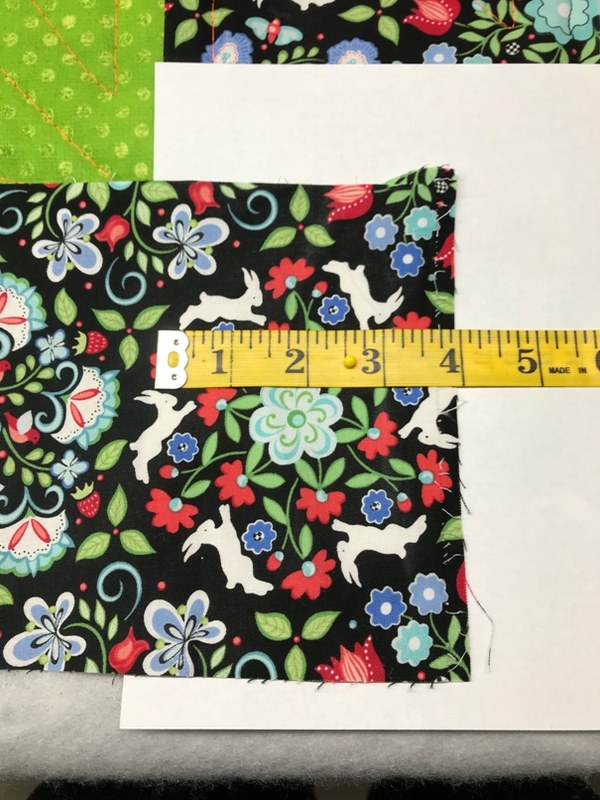 I did some measuring and realized that there was about 4-1/2 inches EXTRA fabric in the outer border and and undetermined amount of extra fabric in the green border. 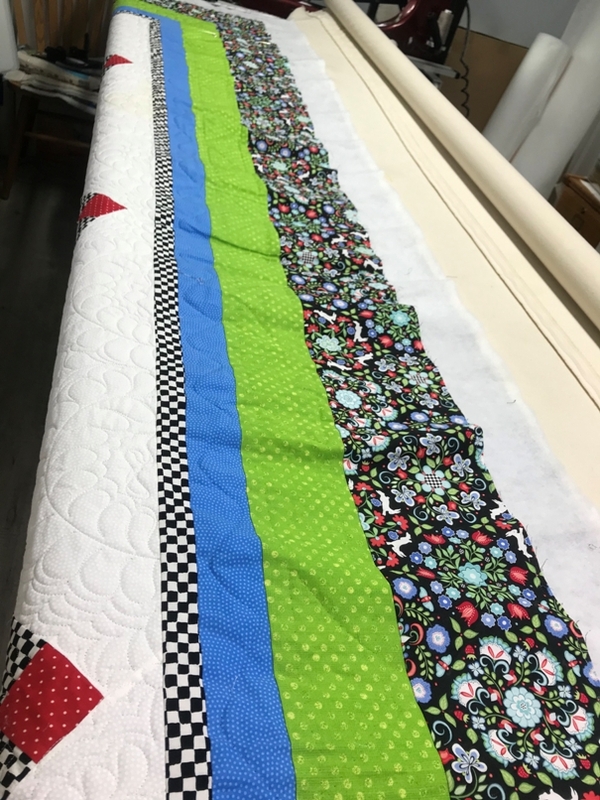 I contacted my customer with the choice of quilting the border “as is” and making pleats, etc., to make it lay flat or to take the border off, re-measure and re-sew before quilting. She chose to have the borders removed and re-sewn. A decision that I agreed with and, if this were my quilt, I would have done the same thing. So …., here we go! I removed all three borders. I laid out the borders and this is what I found. (I placed a piece of computer paper under the borders to show them better. I got to work and measured, sewed, trimmed and pressed and this is what I finished with. What a difference. The borders are a bit crumpled from the “man handling” it took to move the quilt around, but it is laying MUCH, MUCH flatter and smoother. 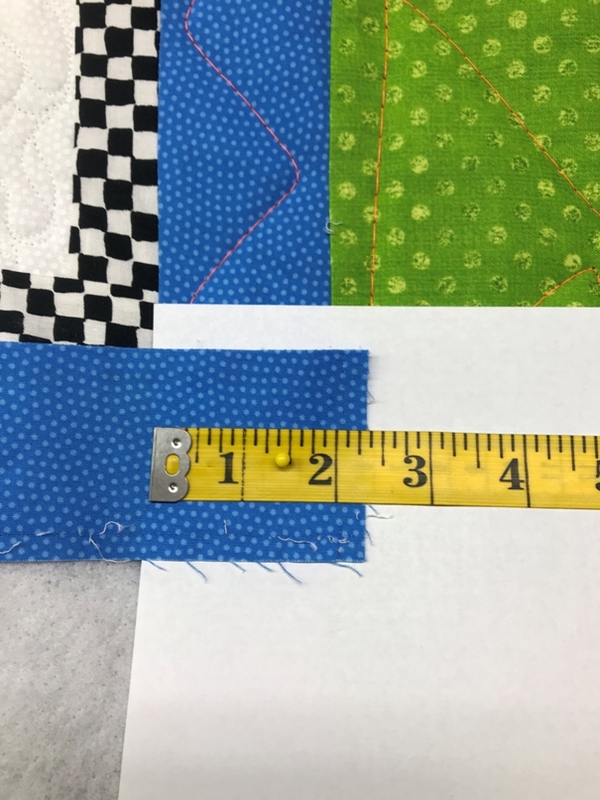 My goal for today is to take off the last blue inner border, take the quilt off the machine – I have zippered leaders and I’m thinking I will try to stitch the quilt with the leaders on – re-do the border, reattach the quilt to the machine and finally, quilt the last two borders. Wish me luck and I’ll show you the finished quilt. PS-When I was stitching the first set of the borders, I felt like I was wrestling a huge octopus! 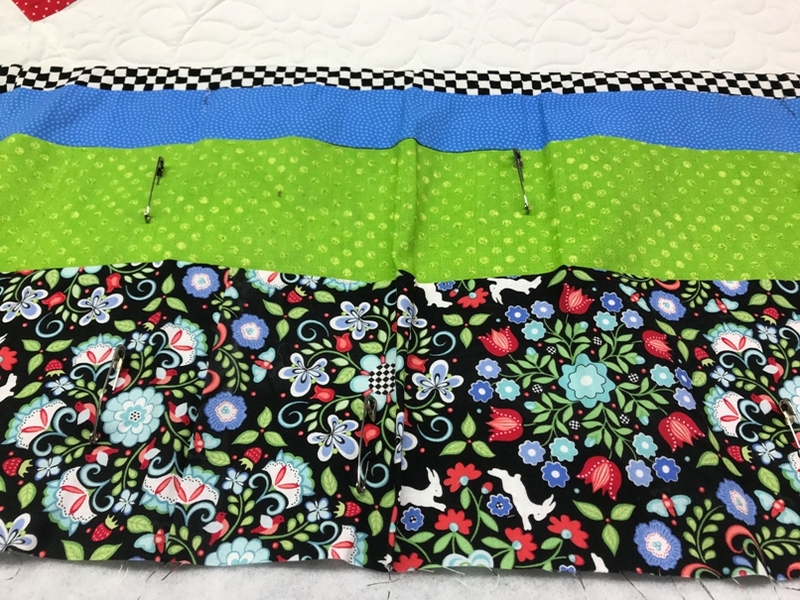 If I leave the zippered leaders on the quilt, I may feel like I’m wrestling an alligator AND and octopus! I belong to a couple of machine quilting YahooGroups. 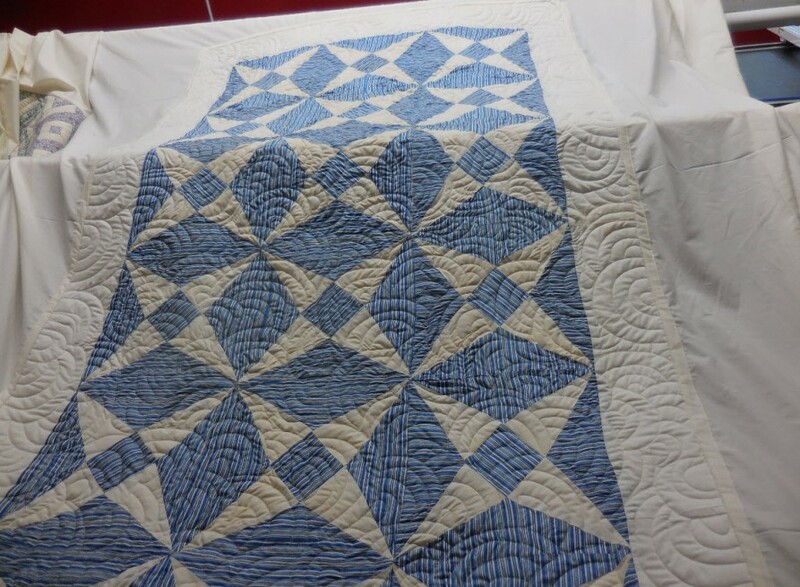 A few days ago, someone from the group posted some photos of a quilt she was working on. I felt the photos would be of interest to those who read this blog and, with her permission, I am posting some of them. 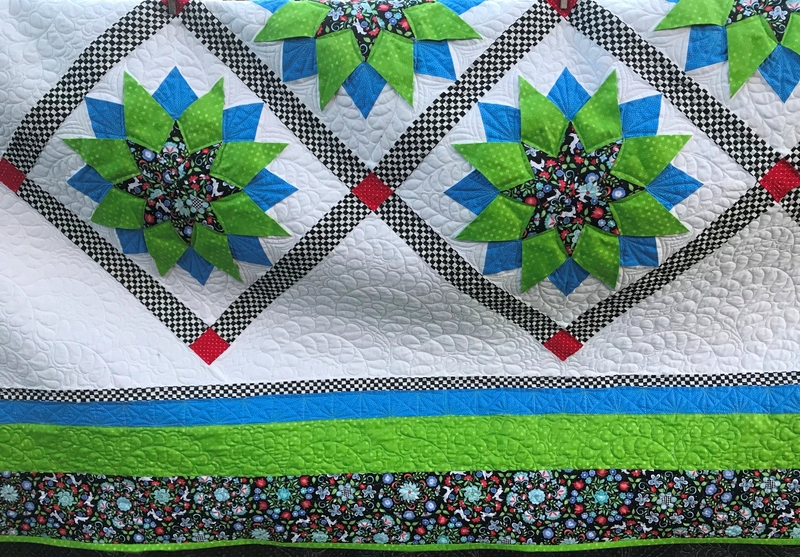 What would YOU do if this quilt was on your machine? 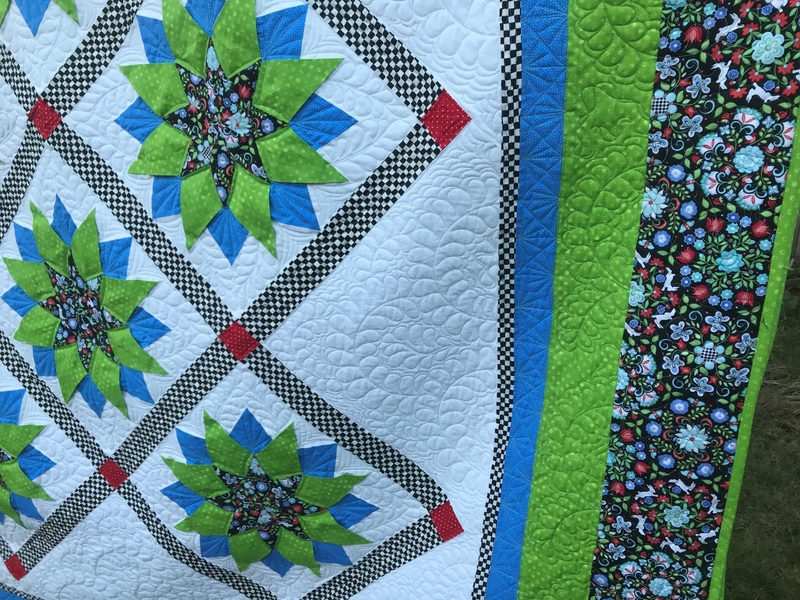 The quilter has written about her experience in quilting this quilt and has many more photos on her blog. It is well worth your time to read the post and view the photos. 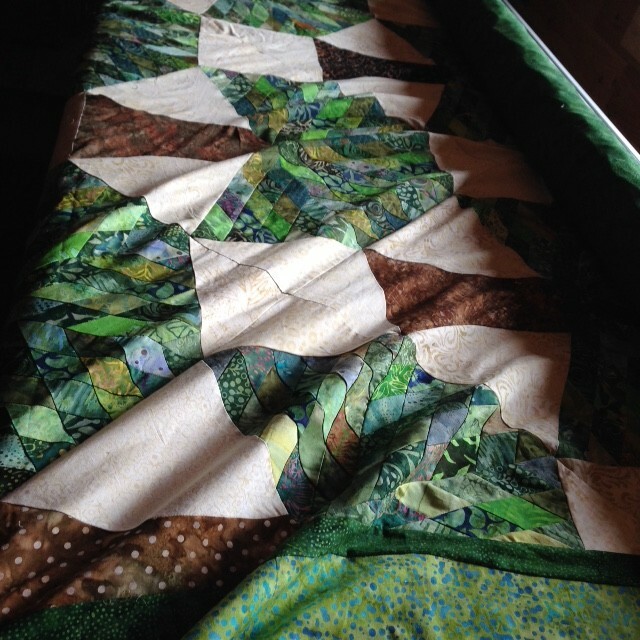 If you have any photos of poorly pieced quilts, send them to me at longarmu@aol.com and I can post them on this blog. 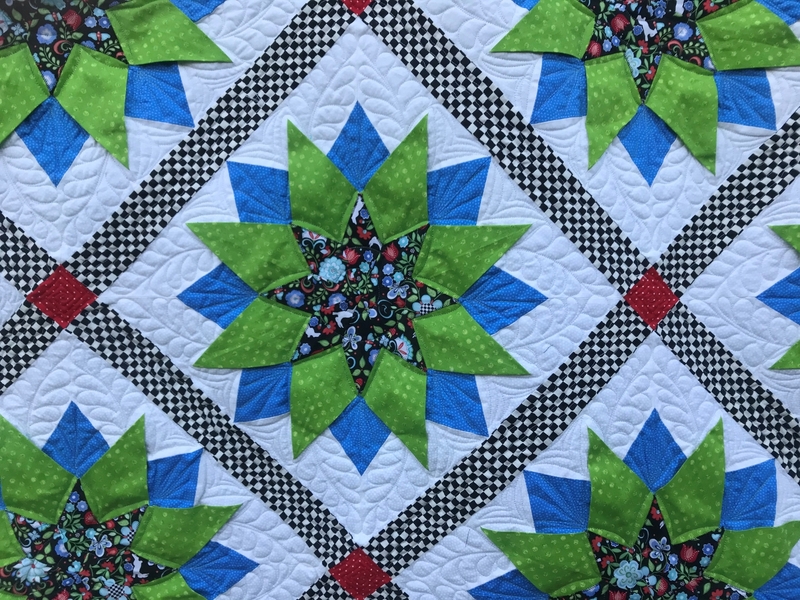 The “problem child” quilt is quilted and you can read about the whole process on the quilter’s blog. There are two separate blog posts. 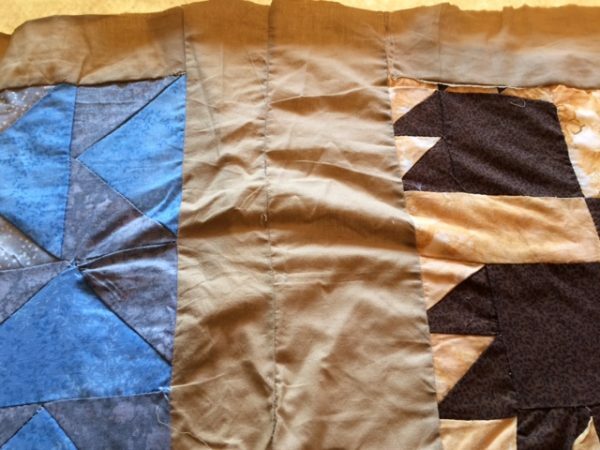 All I can say is – this was an amazing transformation of a seriously wonky quilt! And a big “You Go Girl! !” to the quilter! 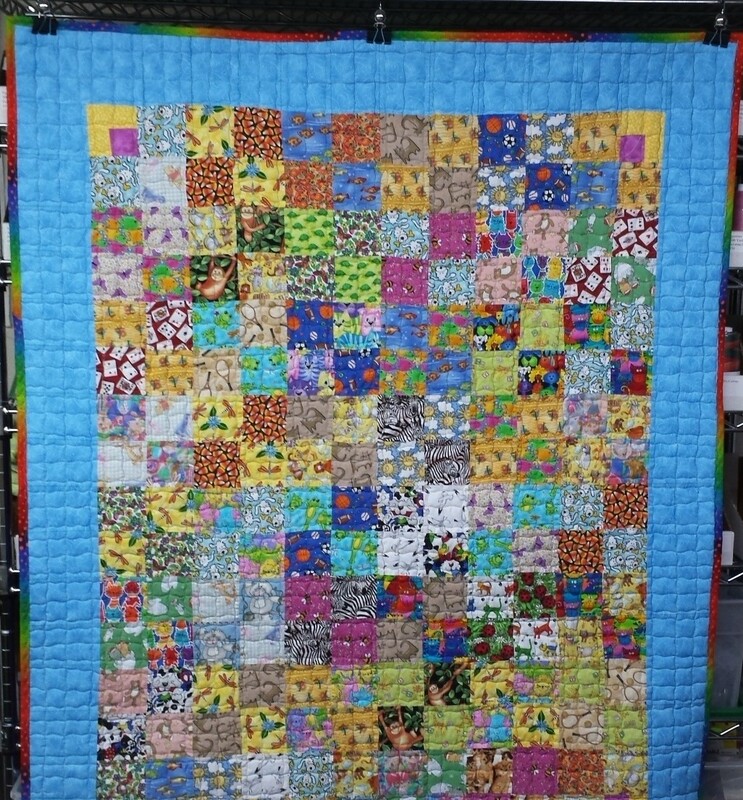 Over the last few days I have received a couple of “problem children” quilt photos from other machine quilters. 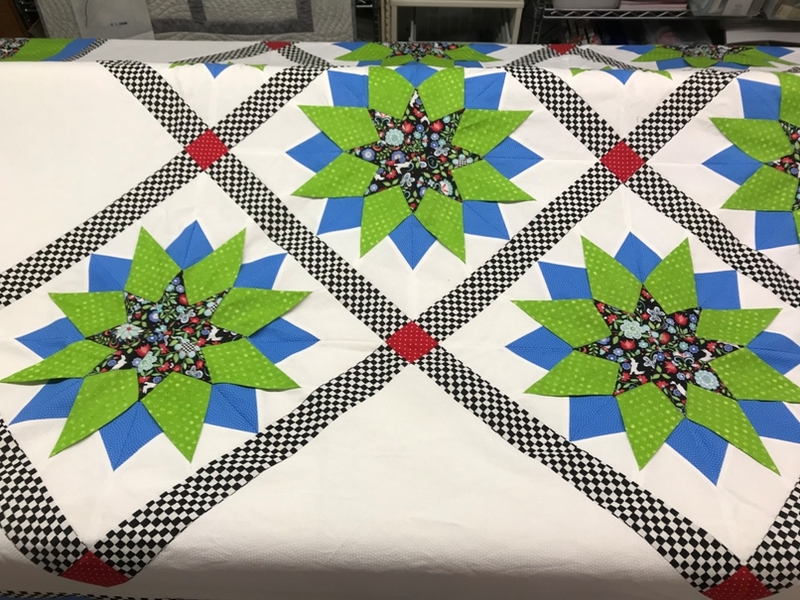 If you have any photos of your “bad” quilts – whether they are your own or a customer’s – send them to me as an email attachment and I will post them on this blog. I will not post your name or anything else to identify you or your quilt(s). 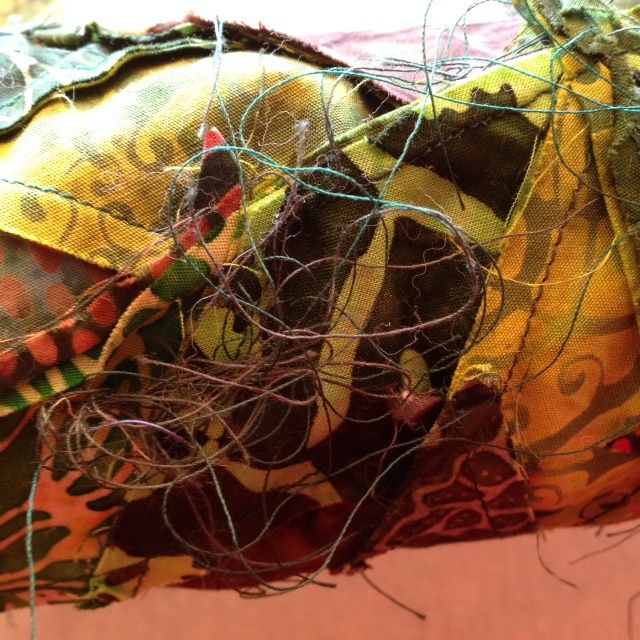 The “problems” could be piecing, quilting, construction, backing fabrics, or anything else. Maybe we can vote for the “Worst Quilt!” Let’s see what “problem child” quilts we can find! 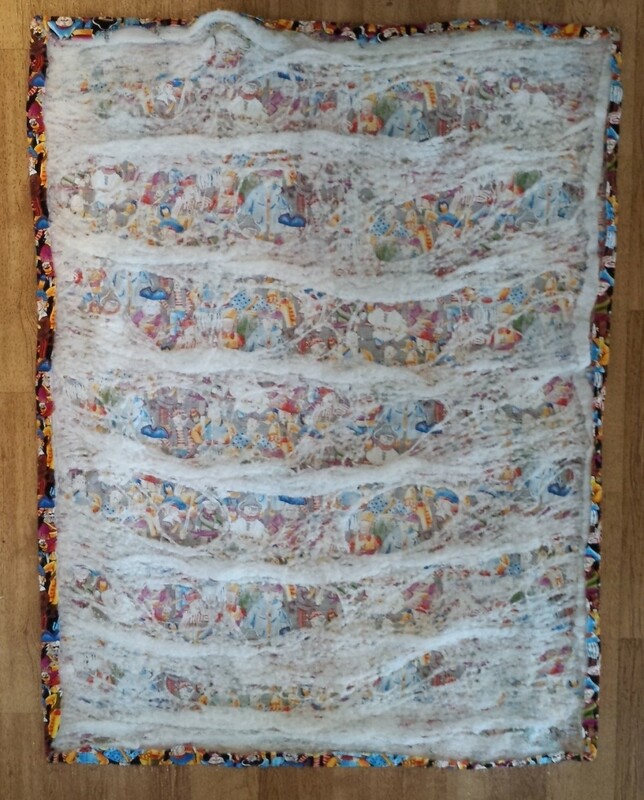 I belong to a few YahooGroups and recently someone posted photos of a “problem child” quilt. 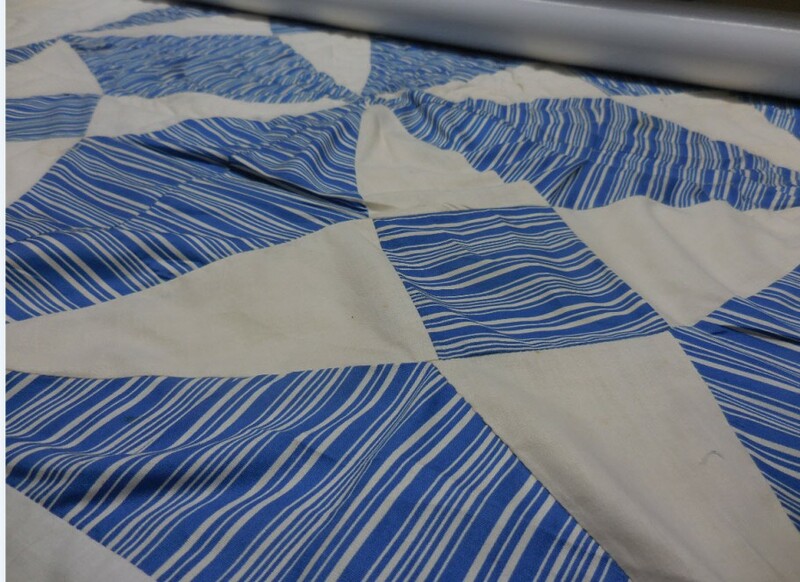 The person who posted these photos is a professional longarm quilter and this is a customer quilt she was working on. 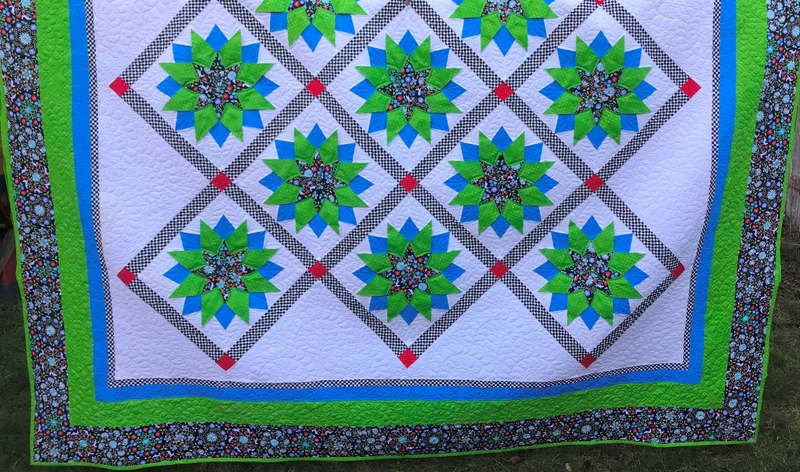 I contacted the quilter and asked permission to post the photos on this blog for your feedback. The quilter is graciously allowing me to post these photos (and the results) so that we all can learn from this experience. 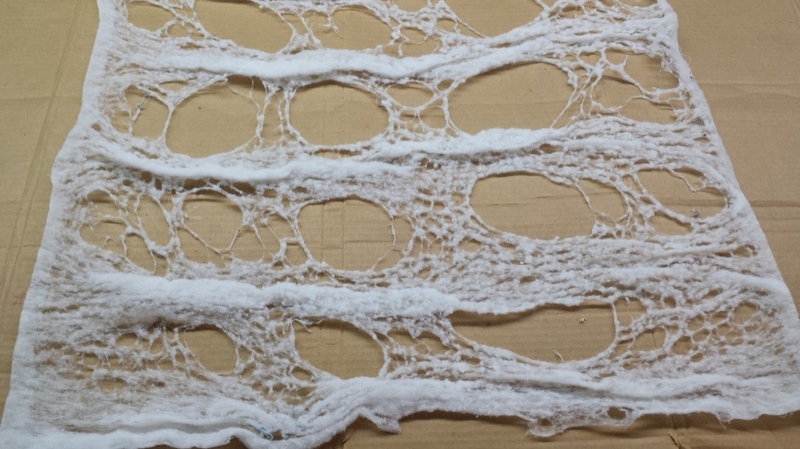 One more thing – the piecier doesn’t trim her threads well. This is what most of the back of the quilt looked like. In a few days I will post the outcome of this quilt. 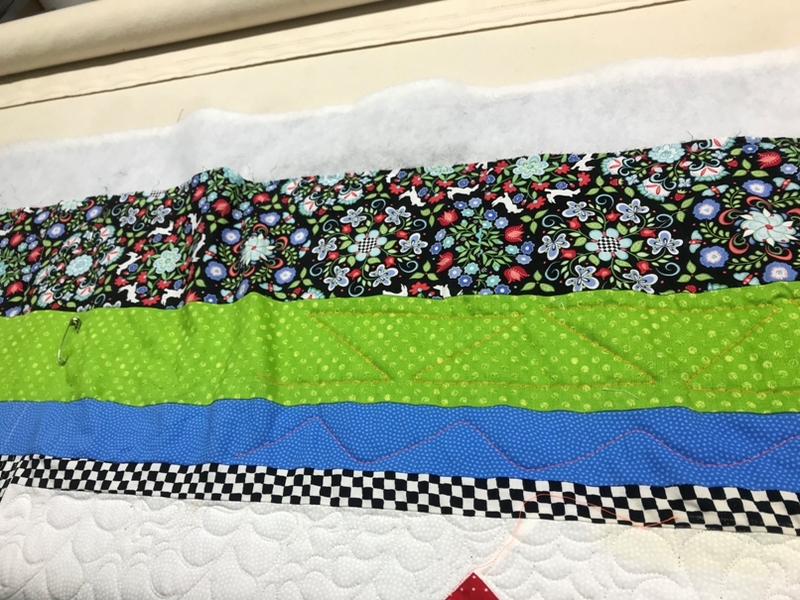 I included photos of the process of re-quilting this baby quilt and I also posted photos of what the batting looked like when I took apart the quilt. 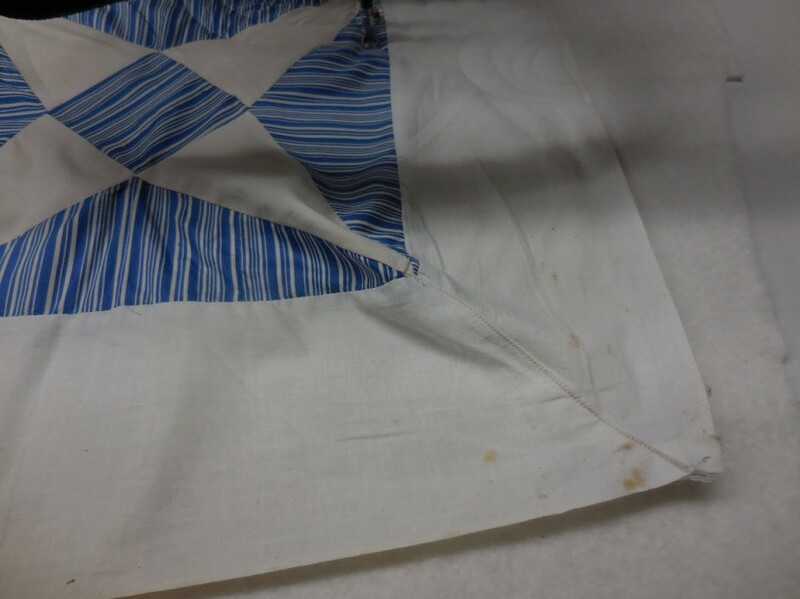 This baby quilt was well used and well loved in the church nursery and after each use it was washed and dried. In other words, it was “rode hard and put away wet!” Before I took the quilt apart, the batting felt pretty good and I felt almost a little bit guilty about taking the quilt apart. But when I did, I was very surprised at what I found. I took the batting off the quilt back and put it on some cardboard so you can see it better. I can’t remember if the quilt was tied where the batting is or it was the other way around. Why am I showing this to you? As a professional machine quilter, YOU can make the recommendations to your customers as to what batting can / should be used in their quilt. To many people, batting is batting and it isn’t that important! But WE know that is not true and these photos show the results. 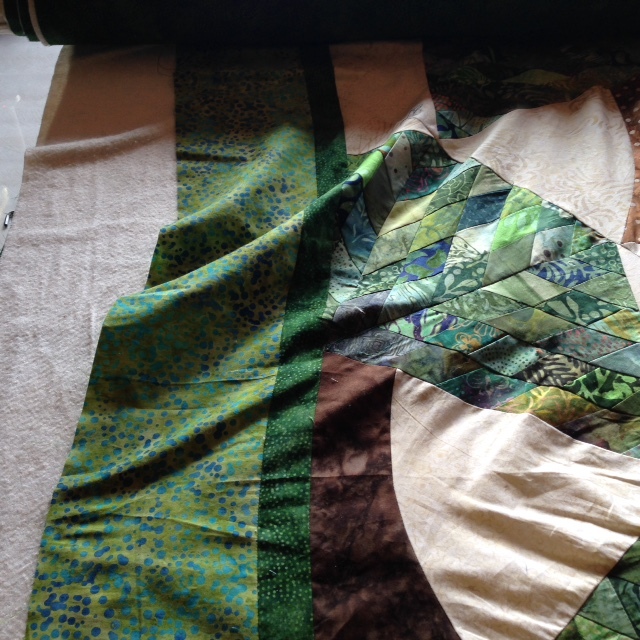 When I re-did the quilt I used Soft & Bright (S&B) polyester batting from The Warm Company. Soft & Bright is “built” the same way as Warm & Natural, with a layer of scrim between the fibers – cotton or polyester – to help the batting keep it’s shape and not pull apart. 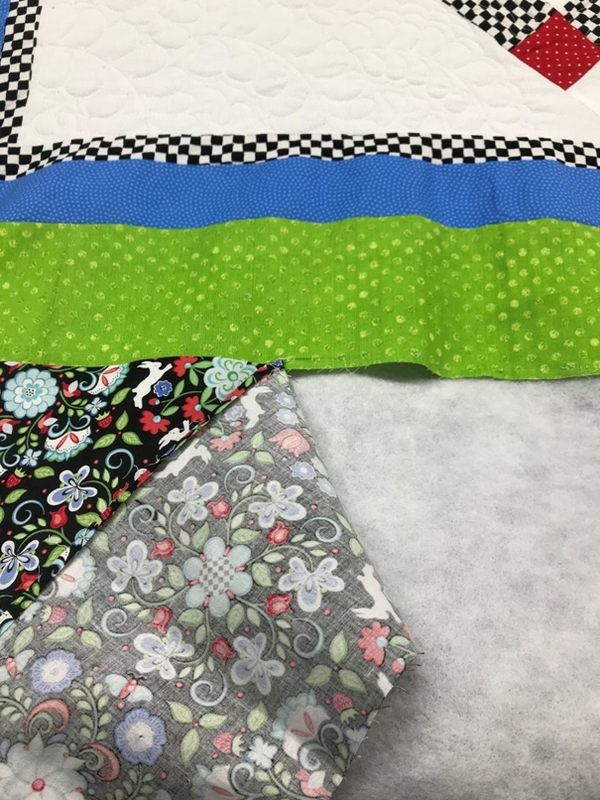 I have been using S&B for YEARS in my own quilts, customer quilts and quilts for my own family and Grand Kids. Yes, this is a shameless plug and no, I’m not affiliated with Warm Company, except as a happy customer of their products. YOU, as the professional, need to find the battings that work well for you and your customers. Then you need to recommend them to your customers and maybe, at times, insist that your batting is used in their quilts. Let’s assume you allow your customers bring their own batting for you to use and a customer brings some “nasty” batting. (You can describe “nasty” any way you desire.) You know that this nasty batting will give you problems when quilting AND it is not going to look good in the quilt. Will you use the nasty batting or recommend / insist on using batting YOU endorse and have in stock? Personally, I won’t use the nasty batting. And yes, many times, I have refused to use a customer’s batting! I do explain WHY I won’t use it and most customers understand and will use my batting. 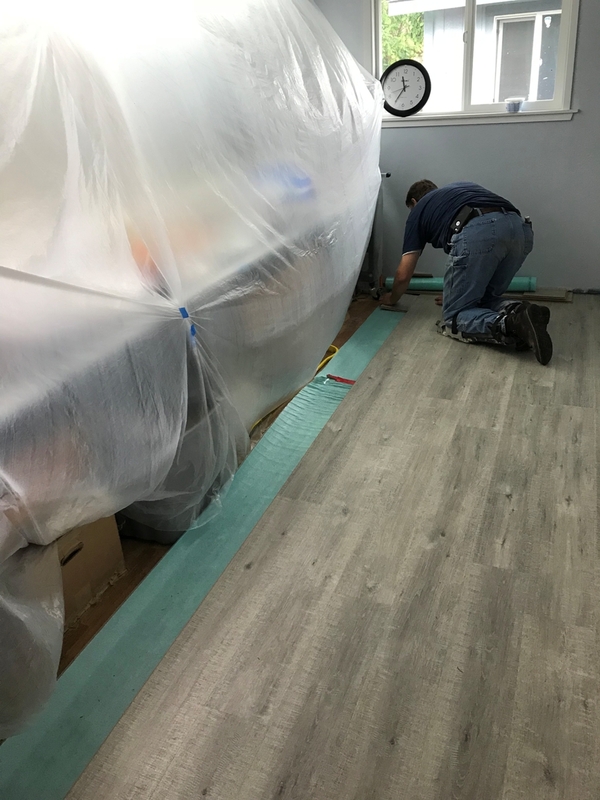 There are some professional quilters will not allow their customers to bring their own batting – they MUST use the batting the professional provides. And that’s OK too. That professional probably learned the hard way about bad battings! It is OK to be fussy about batting. It is OK to refuse to quilt a quilt using nasty batting. It is OK to recommend a different batting that YOU approve and / or endorse. Last but not least, here is a photo of the completed, newly re-quilted quilt with new batting, new borders and binding! 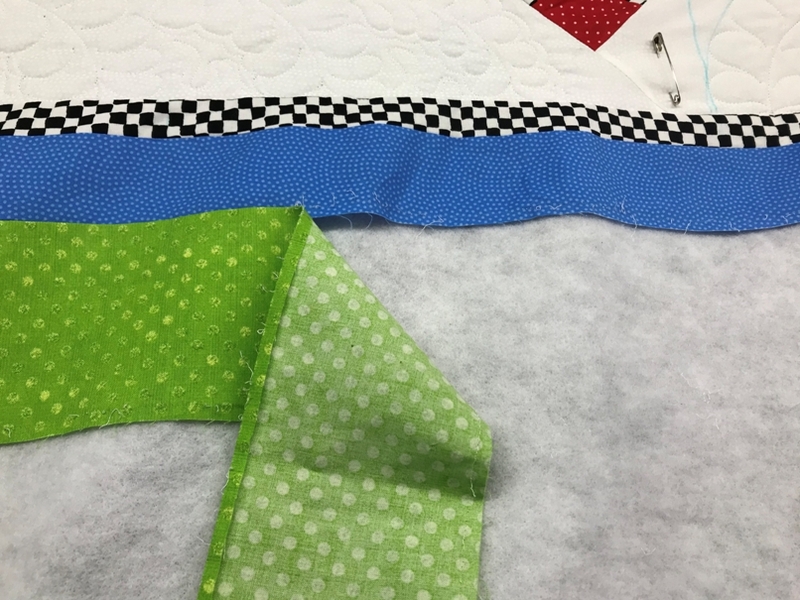 Quilting details – the blocks are about 3 inches square. I stitched free hand wavy lines about 1/4 inch from each seam and then one wavy line down the middle of the blocks, using varigated thread. I did turn the quilt to the vertical lines. PS – If you would like copies of the nasty batting photos to show your customers, send me an email at longarmu@aol.com requesting them.